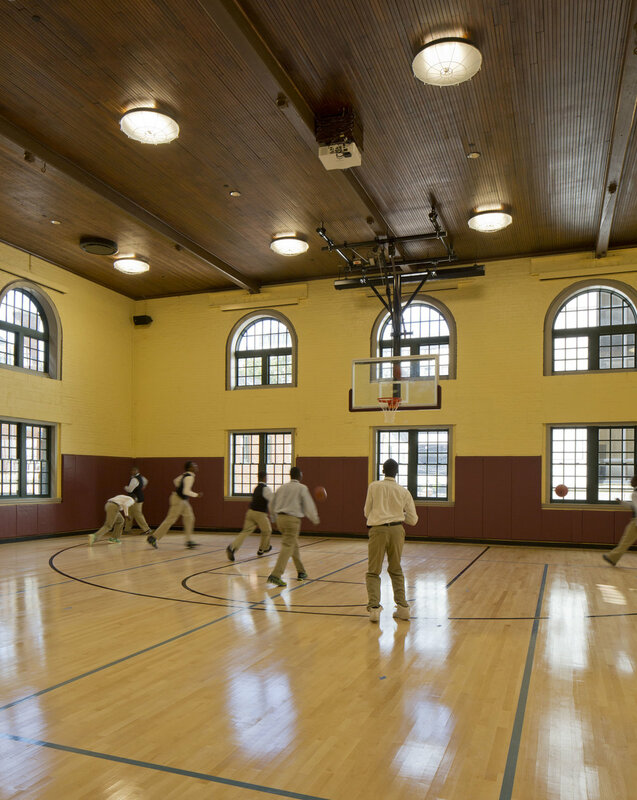 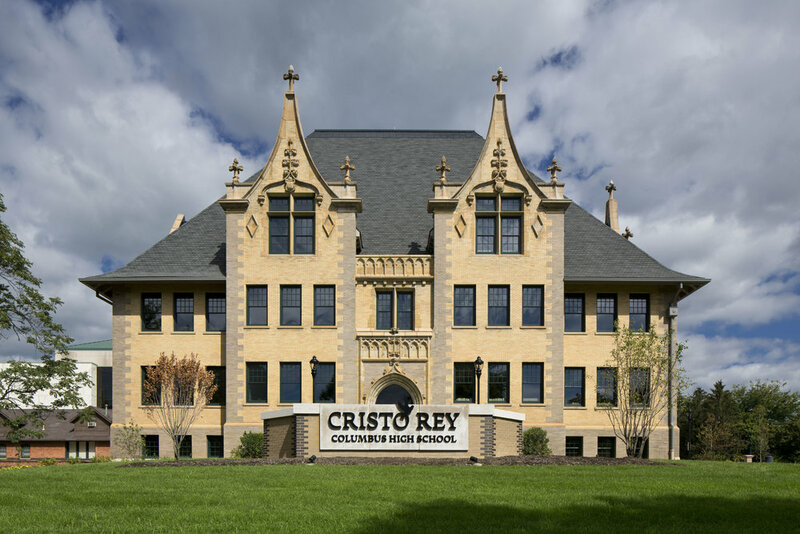 Schooley Caldwell designed the $18 million transformation of the Old Ohio School for the Deaf into the new home for Cristo Rey Columbus High School, a Catholic college preparatory school serving disadvantaged students. 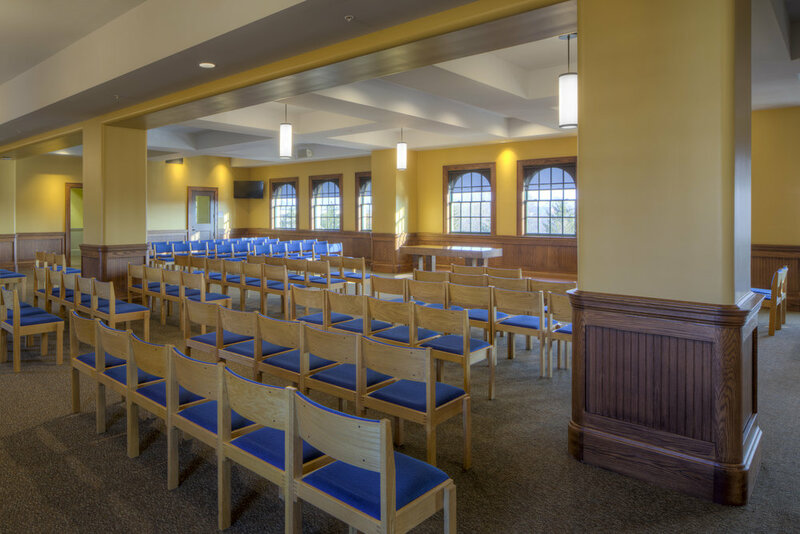 Built in 1898 and located adjacent to the city’s acclaimed Topiary Park and the historic Main Library, the Deaf School served Ohio’s hearing-impaired children from 1898 until the 1950s, when new quarters were built elsewhere. 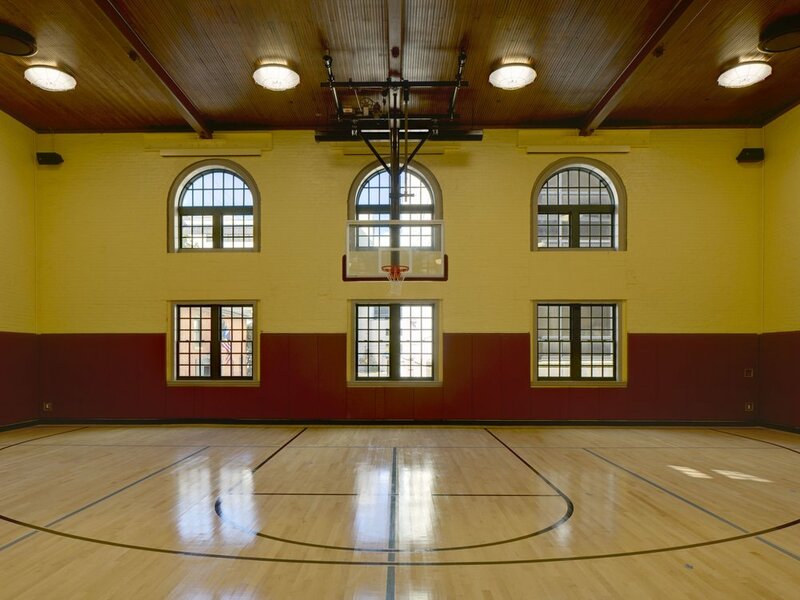 The 88,000 SF building is listed on the National Register of Historic Places and the project was awarded historic preservation tax credits. 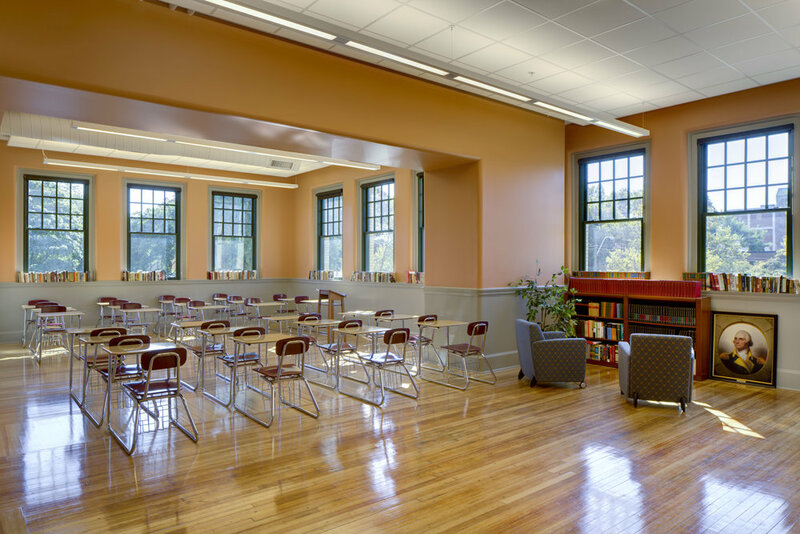 The biggest design challenge that our team faced was incorporating all the modern technology and amenities required by a 21st century school into an older building not originally designed to accommodate them. 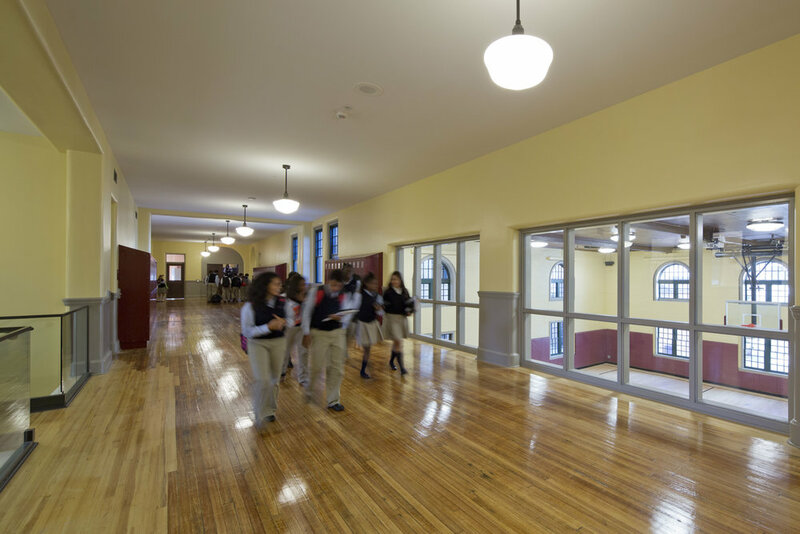 The building now functions as a typical high school, but with beautifully restored historic elements and uncommon character.